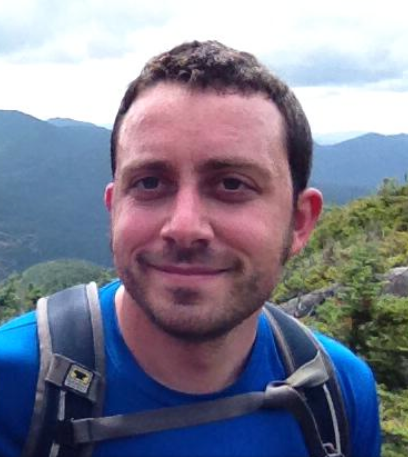 Two years, two playoffs and one winner: Jeremy Koling. 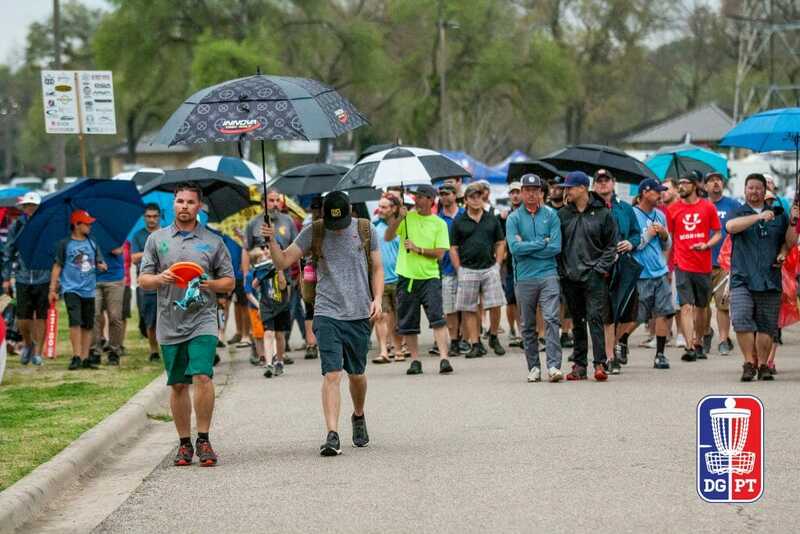 Koling is the Waco Annual Charity Open champion for the second year in a row, and in true repeat fashion, he won the Disc Golf Pro Tour stop after a one-hole playoff, this time over Nate Perkins. Koling and Perkins finished out the third and final round tied at 33-under par 168 after 10-under par 57 and 11-under par 56 scores, respectively. That meant they moved on to a playoff, beginning on course hole 3. Perkins teed first and turned over his forehand drive right out of his hand. It careened towards the far side of the OB road at a group of spectators. Despite the gallery’s best efforts to move, it caught a woman in the back (she was not injured). That left the door open for Koling, who safely landed his forehand drive well down the fairway. Perkins’ next shot landed at roughly 45 feet inside circle 2, while Koling pitched up to within 25 feet. Perkins’ long bid to force Koling to hit his putt to avoid pushing the playoff to another hole came up just inches short, allowing Koling to lay up for the win. The playoff was remarkably similar to Koling’s WACO win last season when James Conrad went OB on the same hole during their sudden-death playoff. Koling took home $3,000 for the win, while Perkins came away with $1,945 the highest DGPT finish of his career. Paul McBeth finished third after an 8-under par 59 final round had him finish out at 30-under par 171. Nate Sexton and JohnE McCray each carded 11-under par 56s to move up two spots and into a tie with Garrett Gurthie in fourth place at 29-under par 172. 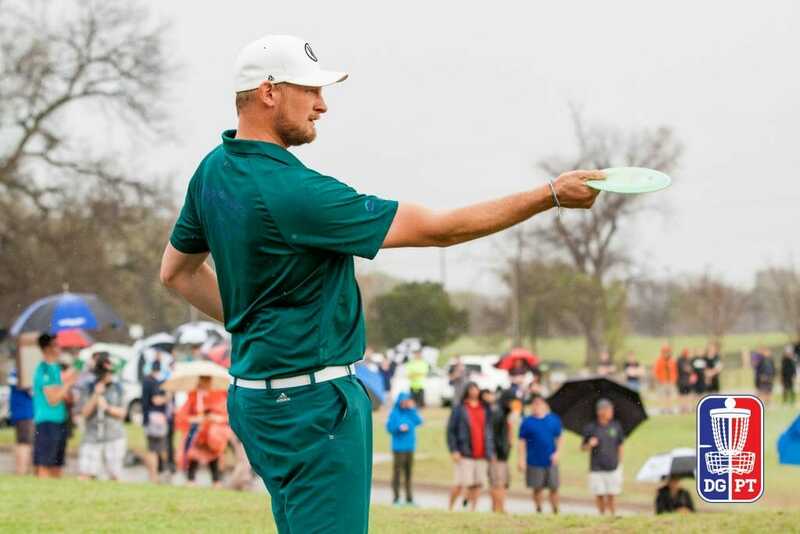 Koling began the day by conceding his one-stroke lead from round two in the early stages of the final round to Perkins and McBeth after two bogeys in the opening four holes. But halfway through the round, and in the most densely wooded section of the course, Koling found his game, going 6-under par between holes 15 and 18. It was a run that included two eagles and gave him a one-stroke lead heading into the more open front half of the course. Perkins got a stroke back as the rain began to fall when Koling missed a birdie putt from circle 1 on hole 3. They would match each other shot-for-shot the rest of the way through regulation, but not without being interrupted by a strong thunderstorm that was forecast to enter the Waco area in the late afternoon. The storm, sporting high winds and much lightning, had arrived to within five miles of the course just before 5:00 p.m. local time. Despite audible thunder coming through on the live broadcast of the event and lightning being visible to those at the course with four holes left to play — Koling and Sexton even noted in the commentary on the Jomez Productions video of the final round that they observed lightning striking within what they estimated to be less than a mile from their location — they played on until a delay was called before the lead card teed off on the second to last hole. We are very proud to have helps to facilitate another successful Waco annual charity open [sic]. We feel the weather delay was exactly the right call and are glad the WACO staff made the call to delay. It was definitely the right thing to do and we are glad that we were able to finish the event and the playoff before the sun went down. The DGPT heads next to the Jonesboro Open, which tees off on April 6th. 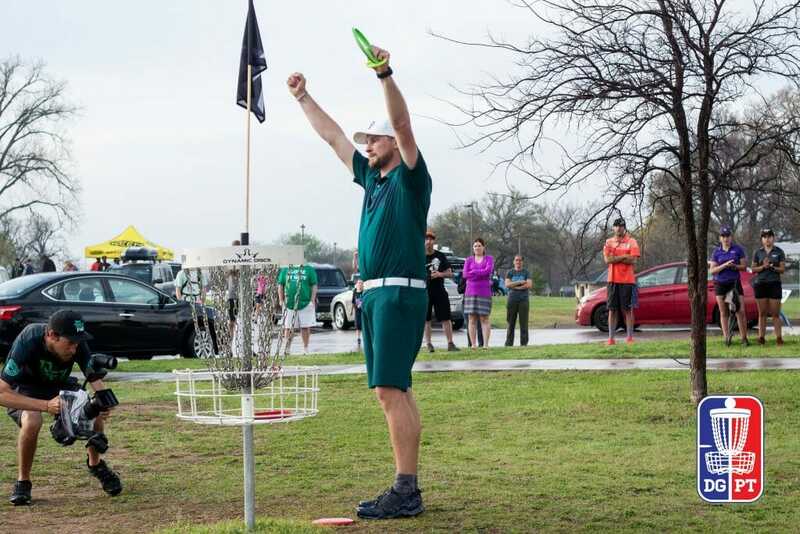 Koling will stay in Texas looking for back-to-back wins at The Open at Flat Creek, a PDGA A-Tier event in Marble Falls, Texas next weekend. Comments on "Koling Wins WACO Again In A Playoff"